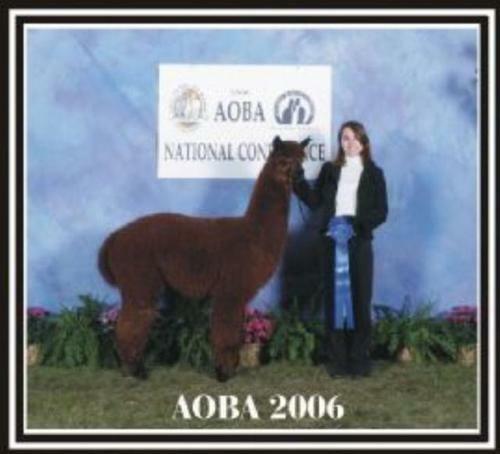 1ST PLACE HALTER 2006 AOBA NATIONALS!! ** 9 BLUES AND 2 RESERVE CHAMPIONS. With GREY-BLACK-MAROON GENETICS. "Geno's" future as a top herdsire is very strong based on the expert judges opinion. Jude Anderson 2006 Nationals said, " This male is everything an alpaca should be". Take advantage of his amazing genetics now! Beautiful Dark Brown Fiber with Black points.The crimp on this guy is amazing from his tail to the top of his head. When competing against light browns he still wins every time. He is a straight and proud young man with the best from his very impressive family. Judge Shannon McConnel at the Buckeye Show, Congrats to Geno's daughter Lexi, 2 BLUES & 2 RESERVES. 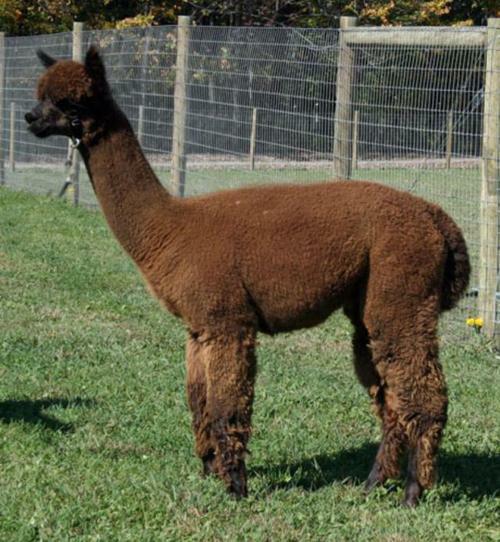 Looks like Geno will continue the family tradition and throw show stopper cria. Versace carries the genetics of Don Timbo, Camelot, and Gold Rush...plus the added value of the best production females from two well respected Ohio farms. With those kind of credentials, it is no surprise that this male has remarkable fiber with crimp and density to spare. The handle of his fiber is soft and he carries all of it on a strong, straight frame. 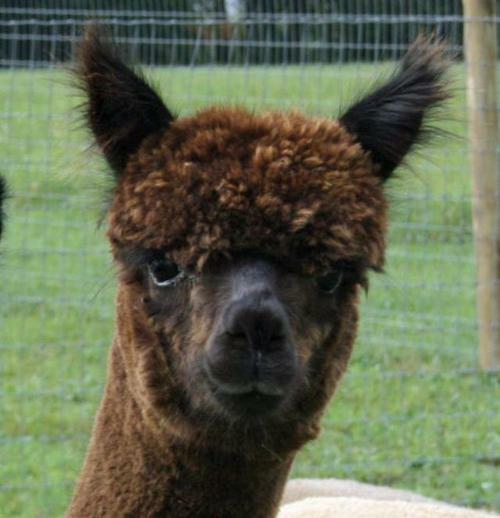 Versace's first three cria are on the ground- the count is 2 girls & a boy! His latest is a Modern DRG female out of a Claasic Grey. Go Versace! 2nd Place - 2008 Heartland Classic ( Class of 12 ). Place 2nd behind the Reserve Color Champion. 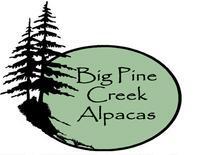 3rd Place - Ohio Alpacafest ( Class of 15). 2nd Place-Full Bleece Brown 2 & Older Male Huacayas, Heartland Classic Alpaca Show, Fall 2009. Judge Wade Gease commented that he had the finest fleece in the class.